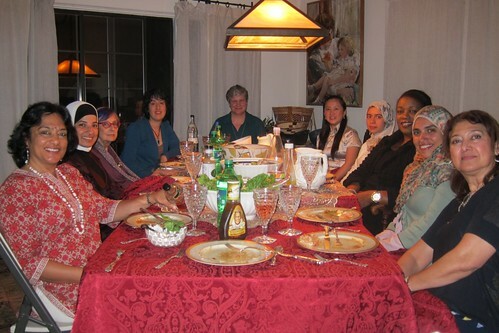 The Huawei TechWomen mentors and mentees gathered in my home for a potluck dinner tonight. My husband made a halal chicken curry with rice as the entree. 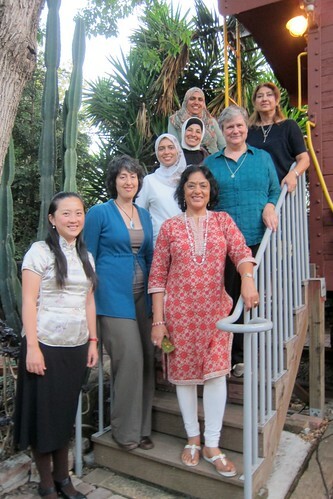 There were women from at least seven countries around our table: China, Egypt, India, Iran, Lebanon, Morocco, and the USA. The guests had fun visiting my office in WP668, our backyard caboose. The food was interesting, plentiful, and delicious. My mother and husband joined the party. What a delightful group of new friends! Thanks much Katy for the lovely dinner! It was a very enjoyable evening. but the incrdulity is in the width of your imagination and intent to execute. Thank you for a wonderful feast enjoyed in the company of wonderful friends!